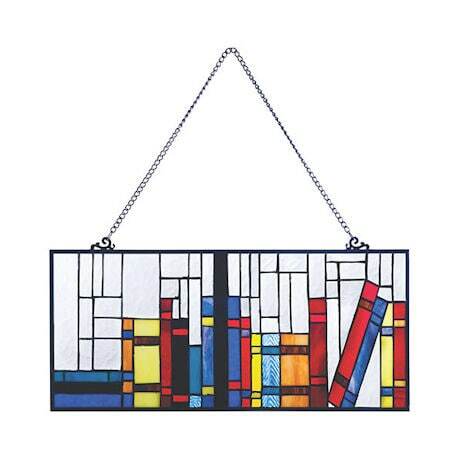 Inspired by the Arts and Crafts movement, made for book lovers. Stained glass is over 90 cuts of art glass joined Tiffany-style with copper foil. 22" x 10". Hanging chain included. No rush delivery or gift box.